Mmmmmmmm. In a low register or a high. Denoting pleasure. Denoting angst. Denoting agreement. Noting a passing of time or a passing away. Nothing. Noting. Noting nothing. Noting that first bite or that last. Noting the time when. Denoting no time when. The time when nothing was noted. Noting mouth on the neck, behind the ear. Noting the feeling of fingers on the body. In place of a sigh. In place of a breath. In place, a moan. Moaning. 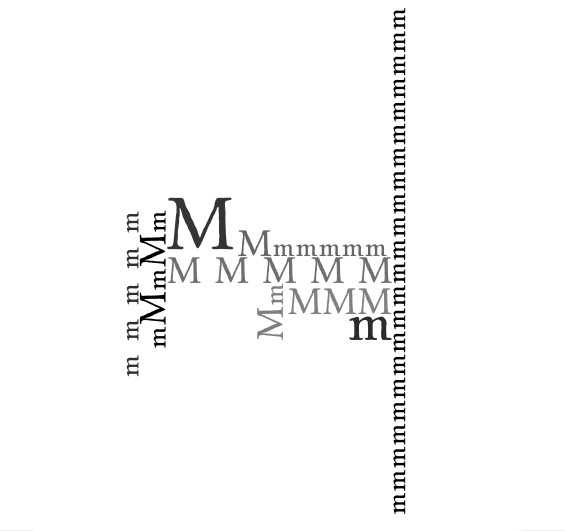 M. m. Mmmmm. The letter repeated makes a space for itself without meaning. Full of meaning. Meaning something specific. Meaning registered only in the body of the utterer. An utterance that says, this, yes, this, means yes, the moment of intake, outtake, the moment where voice must be realized, the moment sound quakes the air. M.